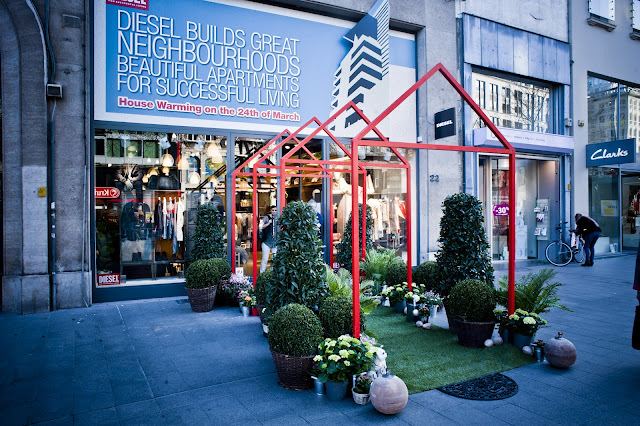 Men Trend: Event: Diesel store housewarming party! On March 22nd 2012, the Diesel store in Antwerp officially re-opened its doors, after two months of hard work and redecorating! The store looks really, REALLY great! It’s a whole new approach to the brand. Diesel reveals its new premium retail concept, which accompanies the new premium strategy that positions Diesel as the alternative to luxury. The store is a lot roomier than before, and resembles a luxury apartment, with the different areas of clothes and accessories as rooms. The store in Antwerp is the first one with its ‘new outfit’! The Diesel Interior Design Team did a really good job! The housewarming was celebrated with an exclusive invitation-only high tea and cocktail party. Diesel first opened its doors at the Meir in August 1999 and it proved to be one of the most successful stores in Benelux. But the year 2012 is the start of a new era for Diesel. Not only the look of the store has changed but, according to the lady in charge of the online boutique, the style of the clothes has changed as well! And we agree, the looks are much more mature! We had such a great time! Check out our pictures below! Nino was wearing a Topman blazer, Benetton shirt, Alexander McQueen skull scarf, Nudie Jeans and Dolce & Gabbana sneakers. 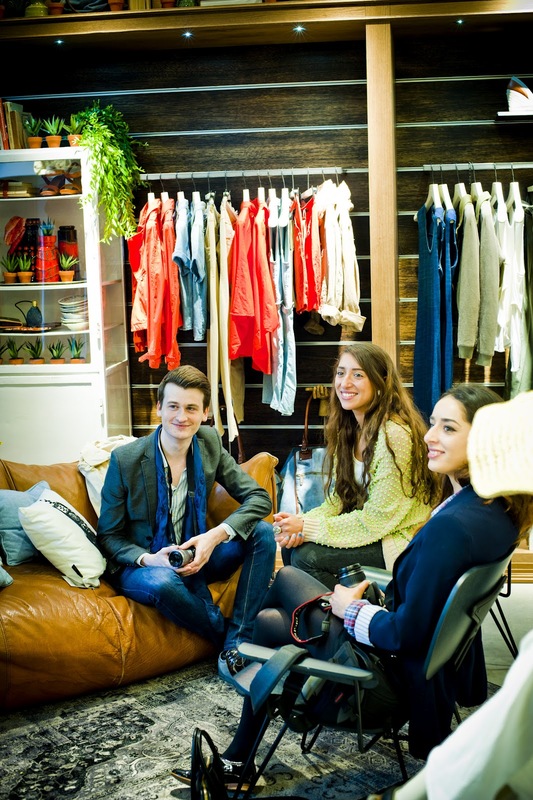 Courtesy of Tan Dem PR - me and fellow bloggers, fashionfabrice! You could get a tattoo, exclusively designed for Diesel by San! WOW this event looks amazing. I love stuff like this, it's always nice to interact with other people and go to openings. The store kinda looks like the Levi's store in down town Hamburg. Quite interesting. Looks like it was an interesting event! Looks like an amazing event! :) The store looks awesome. The store looks fabulous and it looks like it was a great event! Thanks for stopping by my blog - come back soon! Looking forward to your new posts! Great photos and great blog! Great pictures! you look dapper! Looks like it was an amazing event. now I m your fan too! oh! I like the tattoo photo, great idea for this event! Diesel always rocks! !